Want to work on exciting and diverse projects, and become a trusted advisor to C-suite level executives? 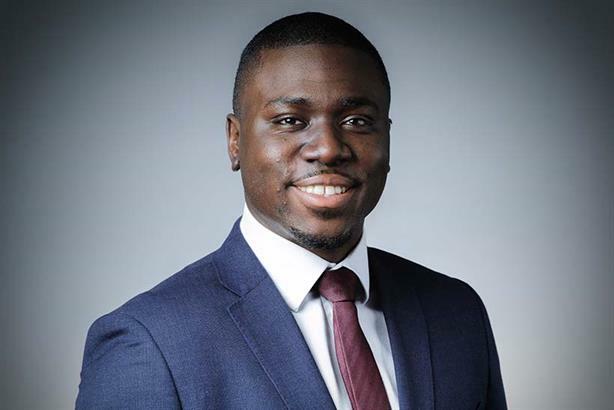 As part of Wonderful Workplaces, Jennifer Jackson, senior careers content editor, PRWeek Jobs, spoke to Kwaku Aning, strategic communications consultant (TMT) at FTI Consulting, for insider insight into the team culture and more. Kwaku, tell me more about FTI Consulting and the work you do. FTI Consulting is a global advisory company, dedicated to helping organisations navigate and manage a wide variety of complex issues. In London, FTI is split into five distinct segments: economic & financial consulting, technology consulting, forensic & litigation consulting, tax advisory and restructuring, and lastly my own segment, strategic communications. What differentiates FTI from some communications firms is that we are sector-specialists, meaning I am lucky to work with some of the brightest and best in the TMT sector, as well as with some of the most interesting small, mid and large-cap companies in the world. I work as a strategic communications consultant in the technology, media and telecoms (TMT) team. What differentiates FTI from some communications firms is that we are sector-specialists, meaning I am lucky to work with some of the brightest and best in the TMT sector, as well as with some of the most interesting small, mid and large-cap companies in the world. As a strategic communications consultant, I help my clients protect and develop their business and reputation by navigating an array of issues including corporate, financial and regulatory challenges, by communicating to the right audiences at the right time. We work on exciting and diverse projects, from current affairs issues that are affecting the world’s largest tech companies of today, to helping clients prepare their messaging around upcoming regulations that could affect their business. Recently, I helped assist a client – a financial services platform – in their preparations for an IPO on the AIM market, which has now turned into a corporate profile-raising brief. I am also working with a client who is currently in the process of developing commercial space flights for space tourists and launches for science missions in space, with the goal of building and operating a new generation of space vehicles that will open space for everyone. Young, forward thinking, driven, hardworking, energetic, and perhaps something that’s underrated - caring. We all look out for each other and it is great knowing that those leading the team are always ready and willing to listen to any issues we may have. Our team also has the philosophy of, "if you have an idea and you want to pursue it, then great, go for it". Having that belief and encouragement from those leading the team is amazing, especially for those more junior. This is something that makes my team stand out. At the heart of our recruitment strategy is hiring people we actually want to be with every day. Whilst competency is essential, we also want to hire friendly, likeable people. We look for a mixture of things, but at the heart of our recruitment strategy is hiring people we actually want to be with every day. Whilst competency is essential, we also want to hire friendly, likeable people. FTI’s focus is on delivering excellent client service and this often requires people to think independently and entrepreneurially to come up with new creative methods and strategies. These traits are highly encouraged. What career progression and development opportunities do you offer? We are all given a performance manager when we join FTI; they help us identify our goals, and advise on necessary steps to achieving them. New grad joiners are also given a ‘buddy’ to help ease them into the firm. I think FTI is unique when it comes to its developmental programme. I started on the graduate scheme in 2016, where we received a vast array of training. This ranged from press release writing and receiving an introduction to financial communications, to training on how to use Bloomberg terminals. In the past 12 months, FTI has invested significantly into its learning and development programme, meaning we now have access to internal and external training sessions, almost every week of the year. It’s a great way to learn, develop, and network in and outside of the firm, and it is all paid for by the company! FTI also hosts regular external social events including its Young Professionals evenings, which helps younger employees, such as myself, develop our network, the ability to cultivate the skills we will need further on in our career to attract new business and manage existing client relationships. Working in a sector-specific team means that I get to work with some of the most trusted advisors in the TMT and communications industry. We aren’t just generalist communications specialists. We have in-depth knowledge and experience in the technology, media and telecoms industry. What's the best thing about working for FTI Consulting? Secondly, I love the collaborative spirit of FTI. Increasingly, we are seeing our clients’ briefs expand, meaning that different sector teams are working together more and more. It’s great to see how different teams work and I find it has helped the way I approach client issues through learning from different teams who have differing schools of thought. There aren’t many industries where you have the opportunity to become a trusted advisor to C-suite level executives at a relatively young age. What are some of the challenges of working there? You have to be prepared to work longer hours than a typical 9-5 job. However, it’s highly rewarding and can be extremely exciting – there aren’t many industries where you have the opportunity to become a trusted advisor to C-suite level executives at a relatively young age. It’s fast-paced, challenging but supportive and offers a variety of work you would struggle to find in other sectors. There’s also a great social aspect to FTI which includes various charity initiatives, staff socials and sports teams. Overall, it’s been a great place to begin my career and develop my skills, and I look forward to growing into my role here.